My Warhammer figures! 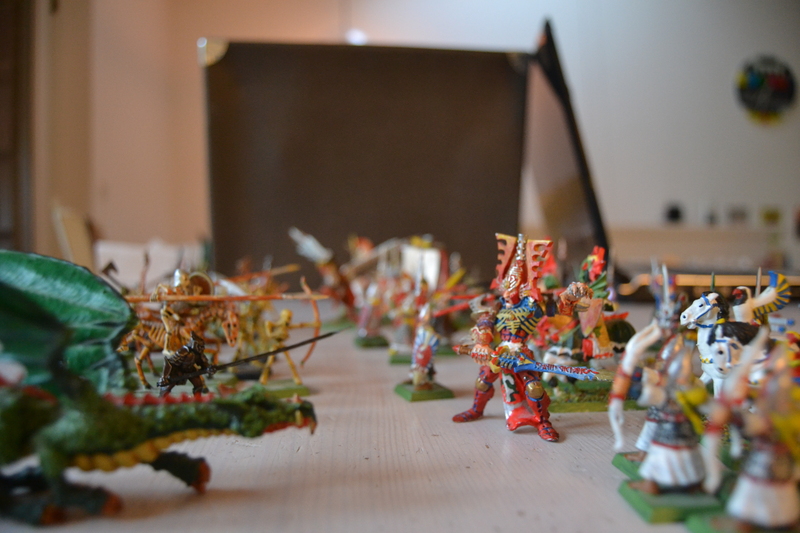 High Elves, Orcs, Skeletons, Dwarves and Lizardmen. When I was a teenager, I collected, painted and played with these figures in the huge, and sometimes complex role-playing game with my friends. Now, bringing them back to daylight also brings back all these good memories. 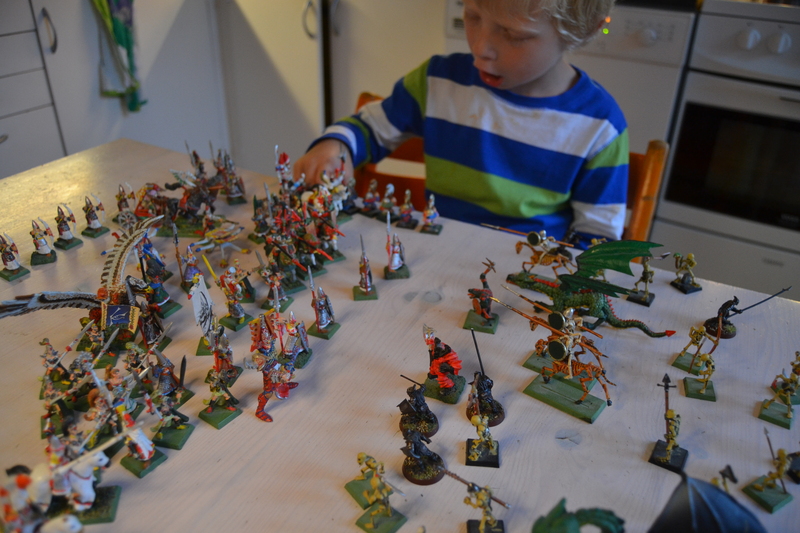 My son divided them into teams (good and bad – for some reason the dwarves became bad) and placed them in battle formation. He was so fascinated, and I decided to use them as actors in mini games created in cooperation with kids, hoping to give him the joy I had, when I was a kid. I will return with the result of that, I just wanted to show you my newest inspiration! your frustration all the more, then it is better to turn to home-made remedies.